Blackhawk. They were top of the mountain back then..... Should be real treats to see! It might be a little while before I get to them (Only got about 700 other images before them!) but I assure you there are some goodies in there. BNSF FAN and Kurt Moose like this. Yay! Blackhawk was THE source for movies and slides back in the day. 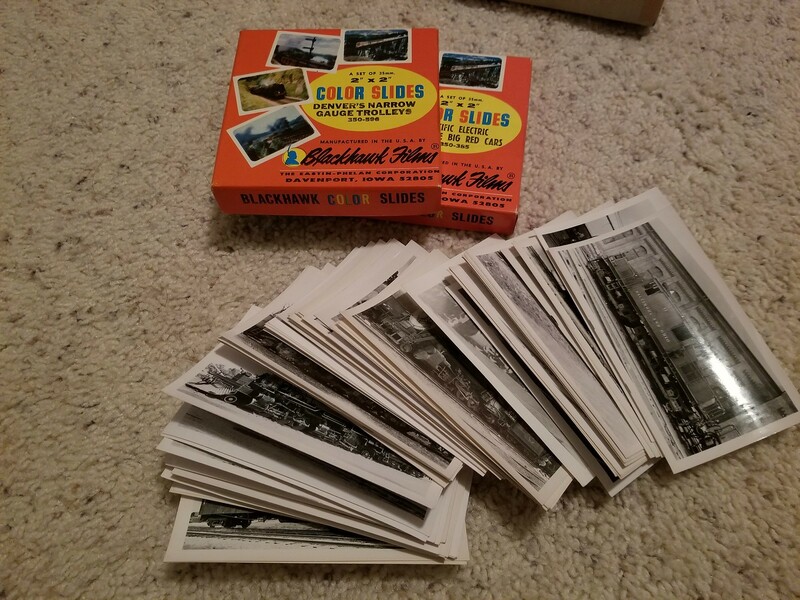 I have some of their N&W, VGN and D&RGW (NG) slide sets. LegomanBill and gjslsffan like this. BNSF FAN, BoxcabE50, Mike VE2TRV and 6 others like this. Hardcoaler, BoxcabE50, Mike VE2TRV and 7 others like this. An F-9B! So much less common than those ubiquitous F-7B's! How nice! LegomanBill and Kurt Moose like this. fordy744, Kurt Moose, Mike VE2TRV and 6 others like this. fordy744, Mike VE2TRV, Hardcoaler and 7 others like this. Seems she still has her steam generator at that late date. LegomanBill and jdmter like this. HemiAdda2d, Mike VE2TRV, badlandnp and 4 others like this. Definitely Tunnel 1. Love it! jdmter, HemiAdda2d, Kurt Moose and 5 others like this. Looks like the same train in the previous pic! LegomanBill, jdmter and Hardcoaler like this. For those of us who lived it and saw it, especially as railfans, it was quite spectacular. But it also marked a major change point in railroading, which in it's own way was quite sad. Pretty close, but I looked closer at the cars trailing the locos and they appear to be different consists, but its likely that they were taken within a matter of days. Kurt Moose, r_i_straw, BoxcabE50 and 6 others like this. fordy744, Mike VE2TRV, jdmter and 6 others like this. txronharris, fordy744, Kurt Moose and 5 others like this.